This spring, air data and flow measurement systems and instruments producer Aeroprobe Corporation announced the launch of its new subsidiary, MELD Manufacturing Corporation, for the purposes of continuing the work on its novel Friction Stir Additive Manufacturing method. This technology, which can 3D print metal components without having to use lasers to melt materials, has been under development for over a decade, and things finally paid off when MELD was given the Innovation Award at this year’s RAPID + TCT show in Texas. MELD has over a dozen patents for the open atmosphere technology, which can be used for 3D printing, coating, joining, and to repair metals and metal matrix composites. The process steers clear of the issues that come with melting materials, as it can build parts in a solid state. The equipment is scalable, and can be used to 3D print parts that are much larger than you’d get with similar processes. Now, more good things are coming for MELD. The company is collaborating with the Army Research Lab (ARL) and the University of Alabama, and the three just received grant funding from the Strategic Environmental Research and Development Program (SERDP). The funding will support the team’s preliminary research into using MELD technology to recycle battlefield scrap metal for repairs and manufacturing in a combat theater. “The capacity to take battlefield scrap and use it at a forward operating base for repairs and other manufacturing processes would be a significant time and cost-saving ability. MELD machines are uniquely capable in this area as they can deposit from multiple types of feedstock and require no special chambers or vacuums for operation. Other processes often require very specific characteristics for their feedstock that aren’t necessary with MELD,” said MELD Manufacturing Corporation CEO Nanci Hardwick. SERDP is a Department of Defense program created by the Environmental Protection Agency and the Department of Energy together. The program seeks out technologies which can help maintain military readiness while also reducing overall costs and environmental risks. This innovative research was proposed as a way to respond to the US Army’s ongoing search of manufacturing methods at, as MELD puts it, “the point of need.” MELD will create samples from scrap metal that are provided by the ARL during the project; the samples will then be sent to the university and back to ARL for analysis. Earlier this month, MELD also announced that its proposal for creating lightweight but strong materials for manufacturing combat vehicles had been chosen for Phase I of the Army’s xTechSearch. Both the xTechSearch and the SERDP projects will explore further military applications for MELD and its technologies. But the two differ in some important ways – the project funded by xTechSearch will demonstrate the capability of fieldable equipment to use indigenous materials or a waste stream as raw MELD materials, while the SERDP project will be researching and analyzing the fundamental characteristics of MELD deposits made from metal scrap-based feedstock. 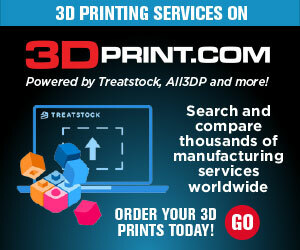 Military uses for 3D printing have been going on for decades. Some of the most interesting fundamental and commercialization research in 3D is going on at the behest of the US military. We will continue to see heavy investment in military applications for 3D printing. So much of the modern military is logistics, repair, spare parts and responding to new developments that 3D printing will have an outsized role to play in these developments. By making in theatre lots of packaging and shipping costs will be saved while the army can respond to the problems of the day by upgrading its gear.